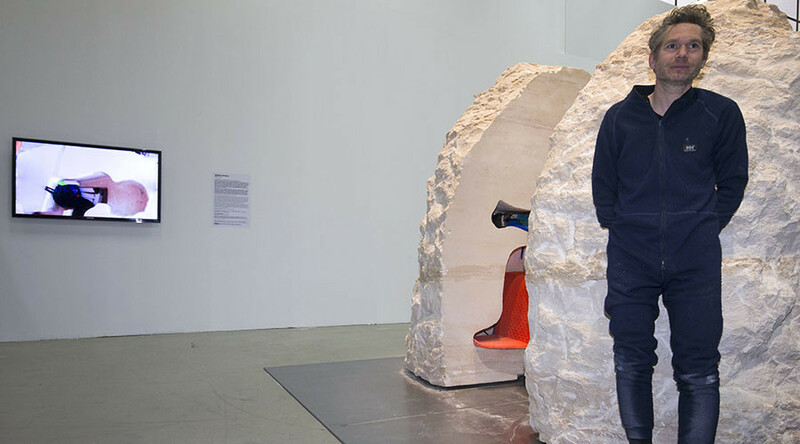 French artist Abraham Poincheval has emerged “a little stunned” after spending a week entombed in a boulder in the Palais de Tokyo art museum in Paris while surviving on only ginger soup, water and dried meat. Poincheval had difficulty walking after emerging from the boulder and needed to be helped into a chair before being taken away for a medical examination. The artist lived in a human-shaped hole in the boulder, with air, water and soup provided through several small openings. He had only a 30-minute break from the enclosure every day. Inside the stone, Poincheval could barely move his limbs and as he had no way to get rid of excrement he had to store it in the stone. He also had no way to tell the time and only had an emergency phone line. The exhibit created quite a stir in the French capital with crowds of people flocking to the Palais de Tokyo to watch Poincheval inside through an infrared camera. The artist told AFP that people read him poetry, played guitar or told him about their dreams and nightmares. “I am traveling in this rock without moving, like an astronaut,” he said through a gap in the rock during the week. The artist went on to compare the experience to tripping on LSD. Poincheval has built a reputation based on his bizarre art installations. He previously spent two weeks living inside a stuffed bear, 20 days underground living as a human mole and a week on top of a 20-meter pole outside a Paris train station. He has also crossed France on foot in a straight line. However despite his wealth of experience he said there was times when he “lost himself” in the stone. For his next performance, entitled ‘Egg’, Poincheval plans to sit on a dozen eggs for approximately four weeks until they hatch.